IM SO VERY EXCITED FOR THIS POST !!! 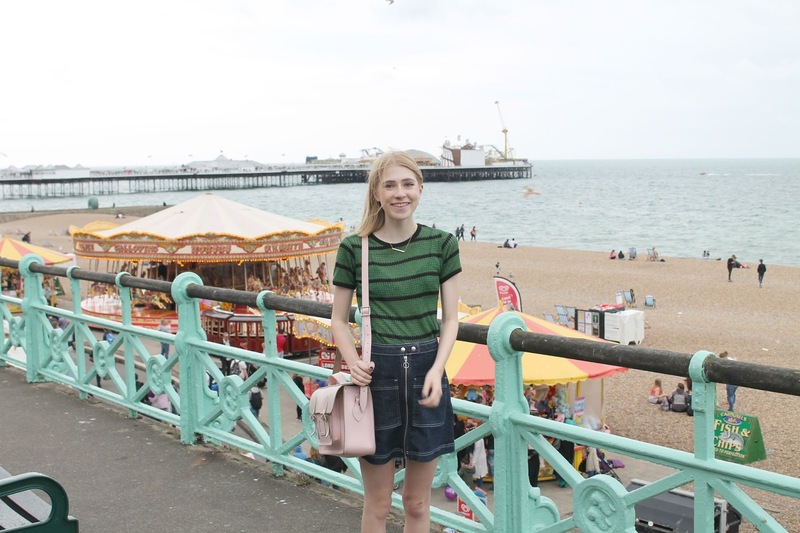 I just spent the most wonderful three days ever in Brighton with S and now I'm in the sad stage of being home and looking over photos wishing we were still there. 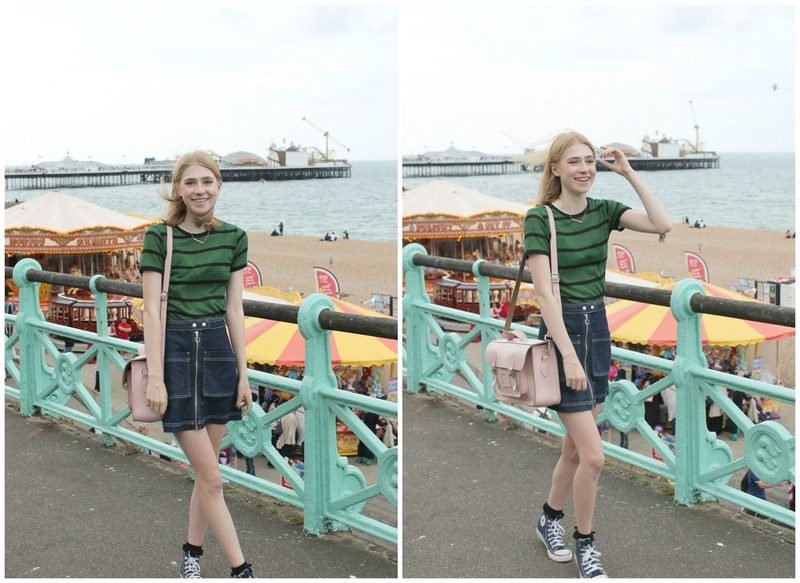 Brighton is possibly THE prettiest town ever and I was so sad to leave because there are a tonne of perfect backdrops and locations for outfit posts which excited me greatly. We were only there for three days but I'm so looking forward to sharing my outfits from the trip and some of the cutest most instagram worthy photographs I think I've ever taken. Can you tell I really love Brighton ?? Maybe just a lil bit. Anyway, This was my outfit from the first day which I think was definitely one of my favourites; I'm so in love with this top !! I'm completely and utterly head over heels for A line / button down skirts and when I saw this one in topshop last week I had to get it! I adore the exposed stitching and also the pockets on the front, it's deffo one of my favourite things in my wardrobe right now. This top is also from Topshop and I love the way it looks with the whole outfit. It's quite a thick crochet design so it is partly see through which I actually really love, I wore a cute black lace bralet from UO underneath. The rest of the outfit is pretty much my staple items: my cambridge satchel and navy converse plus my everyday jewellery. 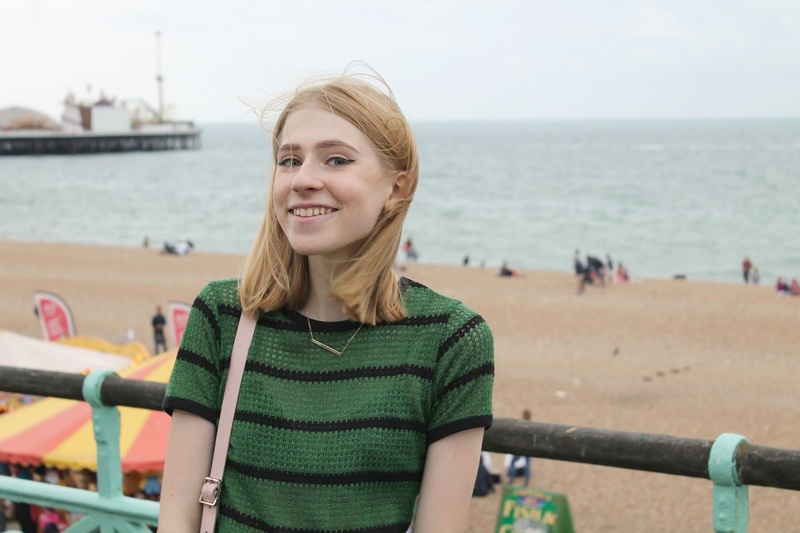 I know these photos are a little bit windswept but I really love the way they turned out (thank u scott) so I hope you enjoyed them too ! !